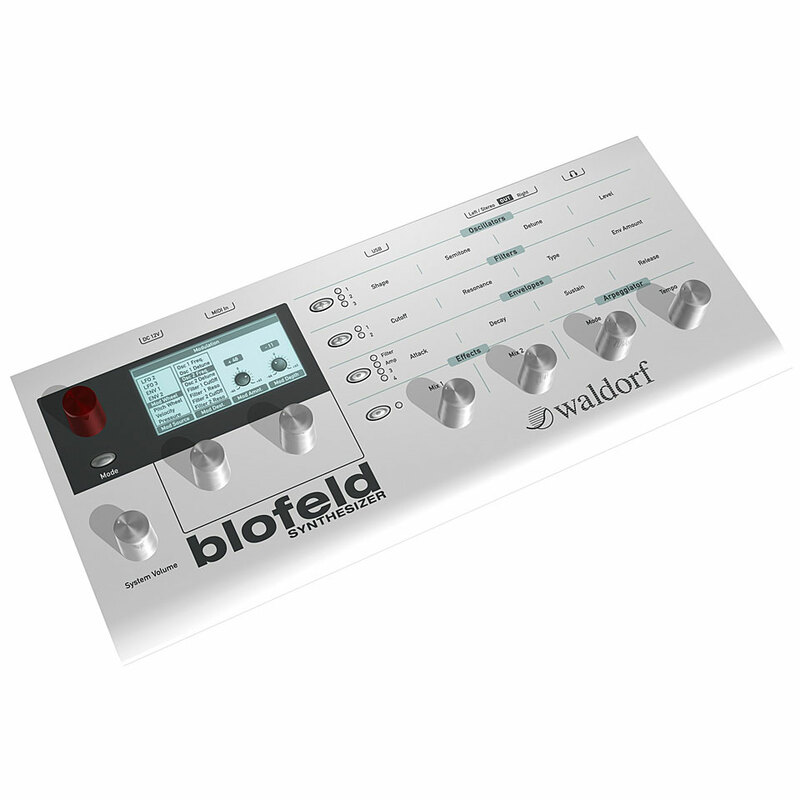 Not only on the outside, but also from within – Waldorf Blofelds Synthesizer has put on weight! Next to the virtual analogue synthesizer and classic wave tables, 60 MB sample storage has been added on. Just imagine adding a sound-like flush, a virtual analogue solo sound and a crispy touch sample to the typical wave table, or alienating other samples with numerous oszillator- and filter-modules. 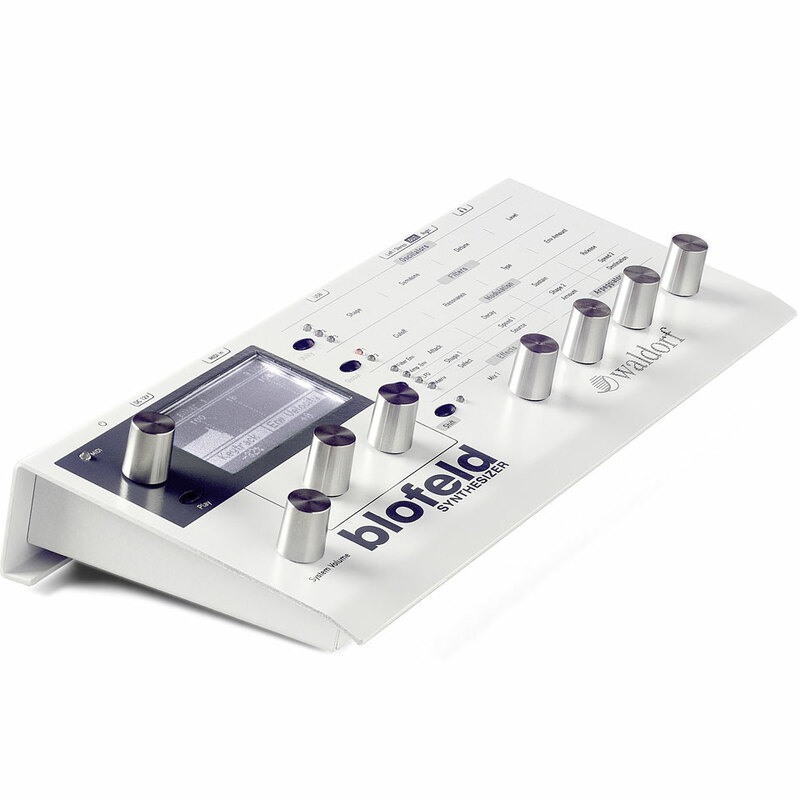 You can play your sound creation on the high-quality Blofeld Keyboard which is not only touch sensitive, but also reacts to after touch. 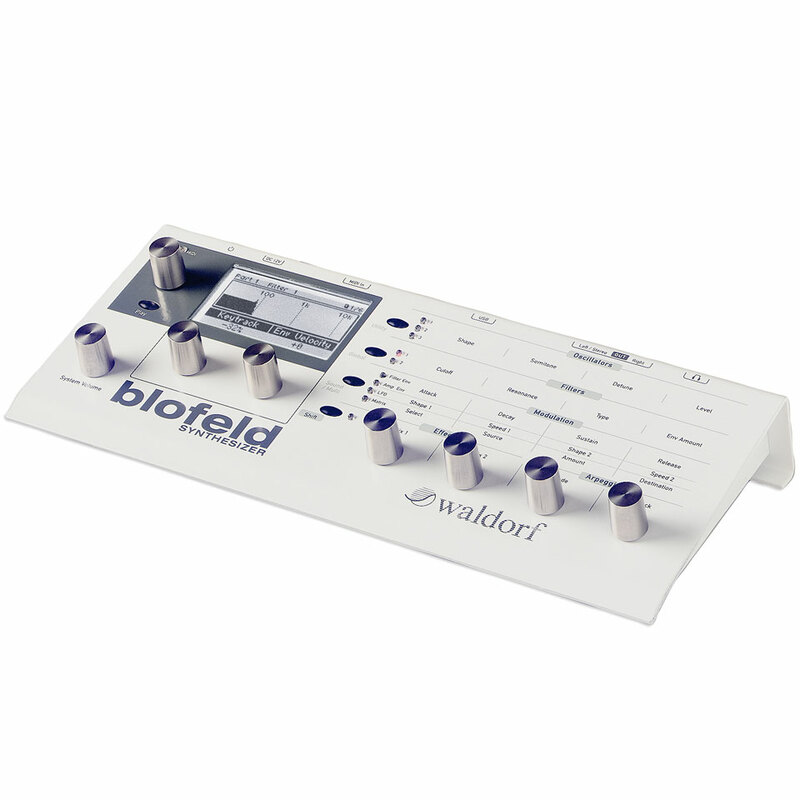 Pitch bend- and module-balls are available and a sustain pedal can also be connected. 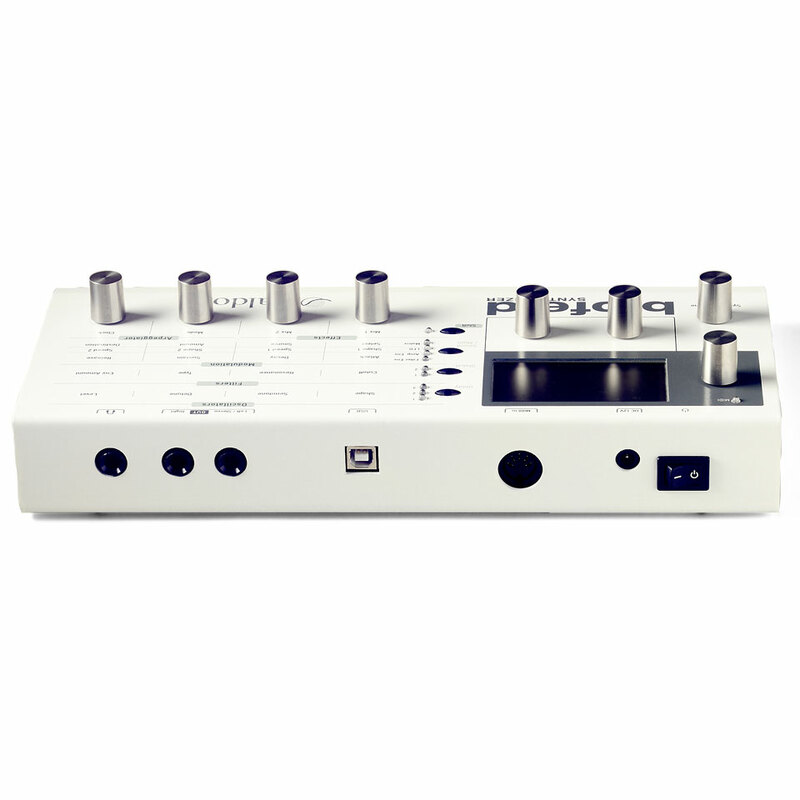 All of these Waldorf features are wrapped in a thin metal jacket with a large graphic display, endless controllers made out of high-grade steel and an intern adapter. This item was given an average rating of 4.8 out of 5 stars. No review about this product has been written yet. 21 ratings exist without a text or these reviews are written in another language. · Show all articles of the brand Waldorf.